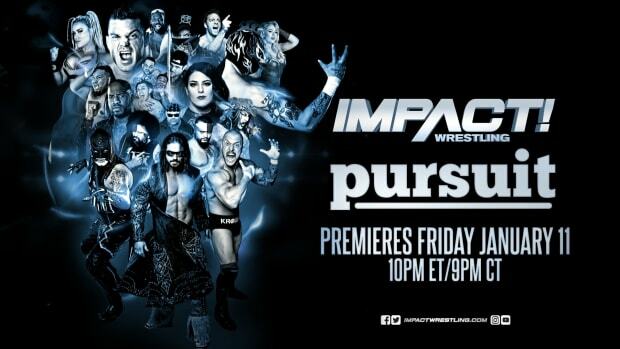 The dysfunction in TNA Wrestling starts at the top and goes all the way down throughout the ranks. From talent that felt they were lied to when the Carter family was negotiating to sell the company to Toby Keith to the uncertainty of their future on Spike TV. However, that dysfunction went to downright bizarre earlier this week. On Monday I reported here on WrestlingNewsWorld.com that TNA had hired Nigel Sherrod to work in their live events department. Sherrod is formerly known for his work in Deep South Wrestling when they were an official developmental territory of WWE and he hosted Season 1 of the short-lived Lucha Libre USA series on MTV2. While on the surface, this doesn&apos;t seem like that big of deal. Ryder doesn&apos;t have to know everyone that works for TNA and who can blame him - he&apos;s probably busy. However, it follows a disturbing pattern we&apos;ve seen within TNA Wrestling. Take for example the employment of Vince Russo. On January 27, 2014 an employee from TNA&apos;s public relations department told me via email that Russo is "not a TNA employee," amid rumors indicating the contrary. It wasn&apos;t until Russo inadvertently sent an email to Mike Johnson of PWInsider.com in July 2014 that was intended for Mike Tenay and Taz that it was learned that Russo was very much working for TNA. On July 31, 2014, Russo wrote on his official website that he "worked as a consultant for TNA" for nine months prior to the post. This not only proved the rumors of Russo&apos;s involvement were true but that TNA was lying about his employment. I have absolutely no idea why Bob Ryder Tweeted what he did to over 28,700 people. He didn&apos;t mention WrestlingNewsWorld.com or our initial report, however, he was very much passing it off as inaccurate. While I cannot give his motivation for such a Tweet, I can unequivocally state his Tweet is not true. A TNA executive -- not a pro wrestling dirt sheet -- that&apos;s not telling the truth. On Thursday, I contacted TNA&apos;s Public Relations department -- the same department that told me Vince Russo was "not a TNA employee" -- about Ryder&apos;s Tweet and have yet to receive a response. Your reporting earlier this week about Nigel Sherrod is an example of everything wrong with wrestling journalism on the web. You indicated that Nigel Sherrod had been hired to work in our live events department and strongly suggested that he was hired to take Rafael Morffi&apos;s place. When your report was posted, I had several questions from people who actually work in the live events department asking me if I knew who the guy was. I didn&apos;t. I looked at Twitter and saw his twitter account that said he was currently working for TNA. That&apos;s when I posted the tweet saying I had never heard of him and that he didn&apos;t work for TNA. It turns out he is helps at the merchandise table at our road live events. That&apos;s the extent of his connection with TNA. He doesn&apos;t work in our live events department and did not replace Rafael Morffi. Over the last several months there has been a tremendous amount of bad reporting regarding TNA. People like you take a glimmer of information and make assumptions, and then it blows up into something totally different than reality. Too many reporters for sites like yours don&apos;t just cut & paste, they cut & guess.